The Mermaid Christmas card has arrived! Mimi and her little pet octopus Rae are wishing you a very Merry Christmas from under a decorated coral tree. The card can be bought at our Holvi-shop. 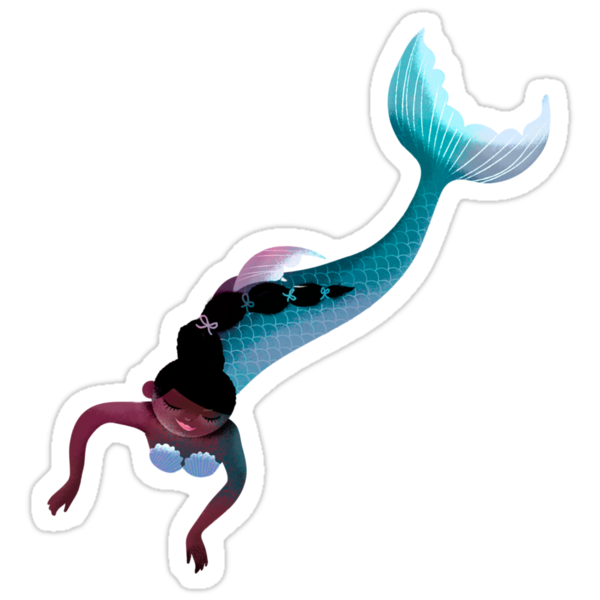 I have updated the Milla Mermaid Sticker -pack and added one animated sticker! The pack is free, be sure to download the update with the animated sticker! I have a shop for on demand printed fabrics at Spoonflower by the name ullamermaid. Here are two of my latest mermaid prints. My mermaids are now to be seen at a poster exhibition at the Natural History museum of Helsinki. The exhibition started 14.3. and will end on April the 23rd 2017. You can order prints from the posters at Zazzle or Society6.